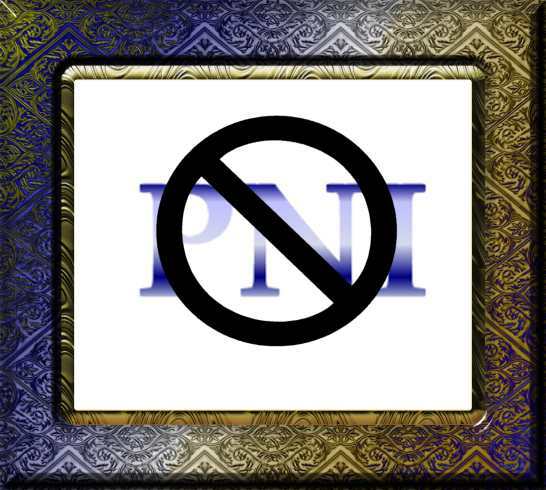 Anti-PNI sign for motel/hotel door - click here. Reforned PNI members. Wise to the ways - PNI folks, don't bother with us. <wink> Puppies? What puppies?? Look at Deb T's blatant puppy flaunting! planning on having liquid refreshments, some snacks, maybe a meal each night. Everyone welcome to meet and greet. Cindi Simmons, Dewey & ? (only a whelping box will keep me from attending) Attention PNI Members! It should be noted that the Holiday Inn is the Specialty Headquarters and the Knight's Inn is The List headquarters (and rumoured to be full of PNI members.